What’s life without a healthy heart? 40% of total deaths in the world are due to heart disease. In India, around a million people lose their lives every year. Despite such alarming figures, the country has very few professionally managed and well equipped hospitals. Department of Cardiology provides advanced diagnostic tests and treatment for problems as common as chest pain (Angina), as serious as heart attack (Myocardial Infarction). Invasive Cardiology offers treatment for Coronary Artery Disease with Angioplasty, Stents, etc. Our sophisticated Cathlab and advanced technology offers unmatched outcome in various cardiac ailments. Team of dedicated and highly skilled interventional cardiologists perform coronary and peripheral angiographies, balloon angioplasties, stenting, EP studies and ablation, pulmonary and Mitral valvoloplasties and other interventions. 1 state-of-the-art flat panel well-equipped Cathlabs at Ahmedabad. 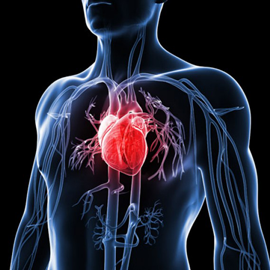 Non-invasive cardiology labs comprising of.